The Antico Palazzo Rospigliosi is an intimate, privately owned superior 4 star city center hotel located between legend and history. Constructed in 1585 this historic building was once home to Giulio Rospigliosi who became Pope Clement IX in 1667. 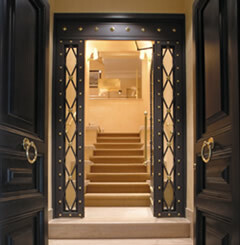 Now a luxury hotel the building has been completely renovated and restored to it's former glory. 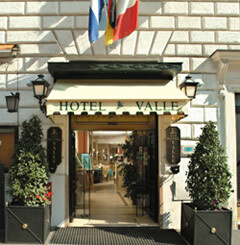 The Hotel Valle is a 3 star city center hotel located within easy walking distance of all of Rome's most important attractions. 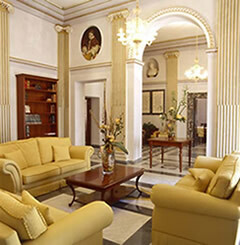 Recently renovated to maintain the high standards for which it has become renowned the Hotel Valle offers excellent value for money accommodation in Rome. The Colosseo Suites are a collection of 4 star suites and apartment style accommodation situated at the Imperial Forum and Coliseum. Available for longer stays the suites are a welcome addition to the Relaxing Hotels having joined the group in 2005. 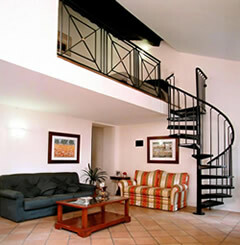 Residenza Monti superb self-catering apartment style accommodation in the via Dei Serpenti only 5 minutes walk from the main attractions of Imperial Rome including the Colosseum and Imperial Roman Forum. Excellent value for money apartments fully equipped with all modern conveniences.